I saw this at the second hand store here. 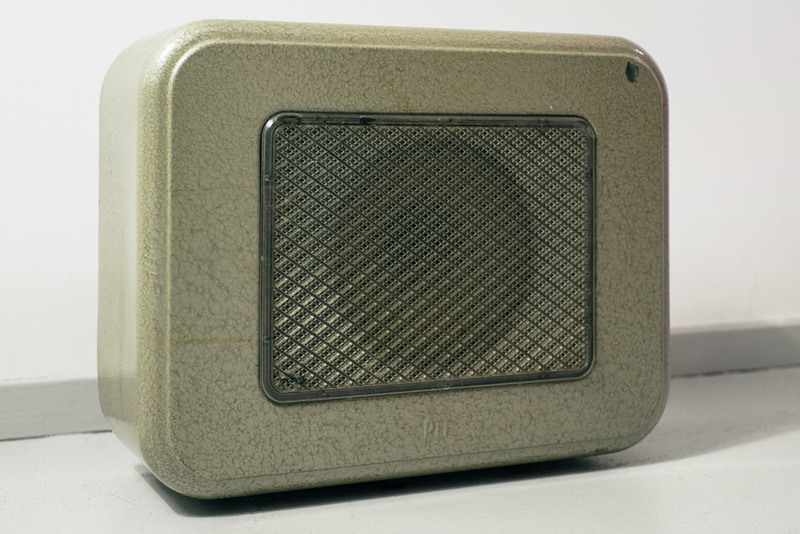 A fifties speaker. It has a few scratches and smudges but it looks fine mostly. Best of all: it has quite a lot of space inside.. so I decided we just had to buy it so we could put our Raspberry Pi inside and transform it into a music box.